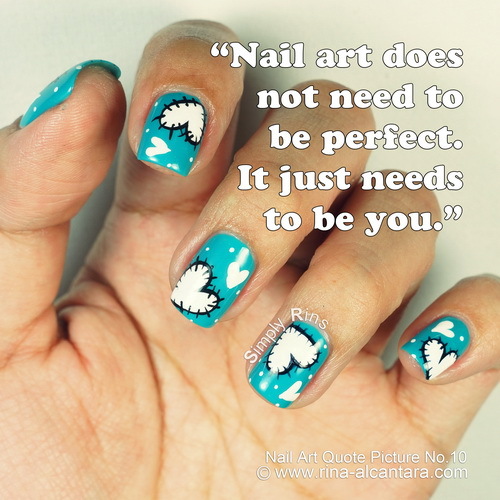 "Nail art does not need to be perfect. It just needs to be you." Sometimes, we worry too much on how other people will comment on our nail art. Sometimes, we worry whether or not our nails are perfect. Sometimes, I am guilty of these. And so I have to remind myself sometimes, that nail art is really not about perfection. As long as your nails shows who you are, then it is perfect.